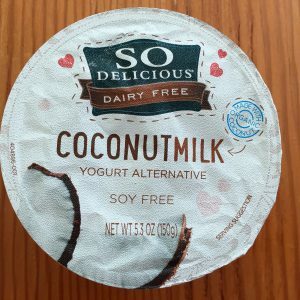 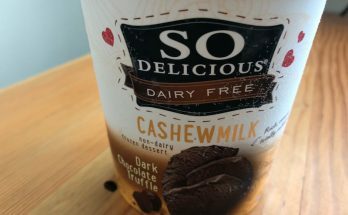 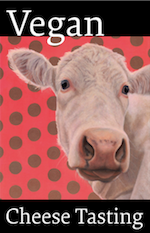 Next on our list of vegan yogurts is So Delicious, whose vegan yogurts are made from coconut milk. 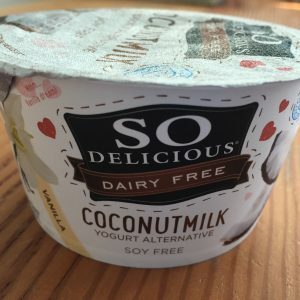 The texture of the yogurt was quite watery, which I didn’t enjoy — it’s not as thick as Kite Hill, and very thin compared to Daiya’s Greek Style. 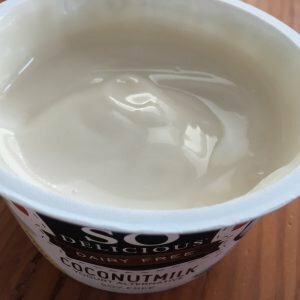 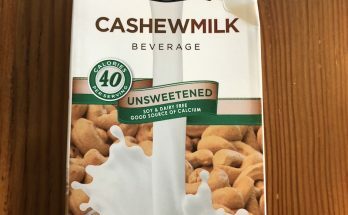 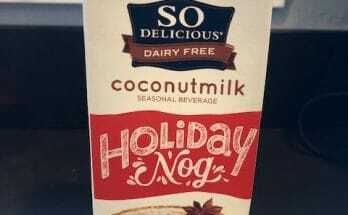 But this does make a good yogurt alternative, especially when you’re enjoying it with cereal or something else that just needs a little something to hold it all together.